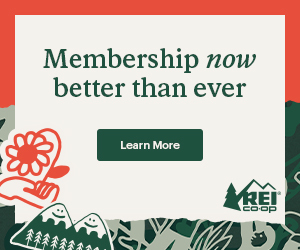 My first exposure to long-distance hiking came abruptly and painfully in 2013, when I joined my girlfriend at the time for roughly 100 miles along the PCT. Doodles was thru-hiking the trail, and even though I was meeting up with her in Northern California well after she acquired “trail legs,” we both assumed I wouldn’t have too many problems since I was always in the process of training for marathons. We were wrong. At the time, I ran marathons and ultra-marathons in Merrell Trail Gloves, a minimalist shoe that basically consists of a piece of rubber sole and mesh top. We’re talking no heel-to-toe drop and no cushion. Ballet slippers, I call them. It took me close to a year to adjust from regular running shoes to minimalist shoes, but I did and still do enjoy the close contact with the ground and do believe the shoes have helped me alter my running gait to be more efficient and less prone to injury. I still normally wear these on many training runs. To hit the PCT, however, I upgraded and bought a pair of lightweight and light-cushioned standard running shoes. I bought a men’s size 8, my regular size and a pair of thin socks. What I set myself up for was some of the most excruciating miles I have ever put in. After a single day, I started to develop blisters. Blisters between the toes, on the balls of my feet, and around the heel cup. Blisters so bad that I could hardly get my feet into my shoes in the morning due to the swelling. I worried about getting dehydrated from fluid loss in the form of blister juice. We’re talking about some friggin’ gnarly blisters. I’ll never forget how bad my feet hurt, and how I dreaded each step. Somehow, with the aid of Guy on a Buffalo’s trekking poles, I managed to hobble down about 100 miles of PCT, but after this experience, I vowed to find a better way. Now with some other hiking experience under my belt, here are my tips to avoid blisters and foot pains. Most long-distance hikers already do this. It’s been estimated that every extra ounce on your feet is equivalent to 4-6 times that on your back (cut the 3 pound boots for 1 pound shoes, and you’re saving yourself the energy of 8-12 pounds off your back). Besides being lighter, I go for running shoes because they breathe better, stay cooler longer, and dry faster, meaning less potential for hot spots and soggy feet. While I still normally run in minimalist shoes, hiking is another story. When carrying a 20-pound pack, I don’t keep my running gait of striking on the ball of my foot, so I’m all about that fat plush ride. 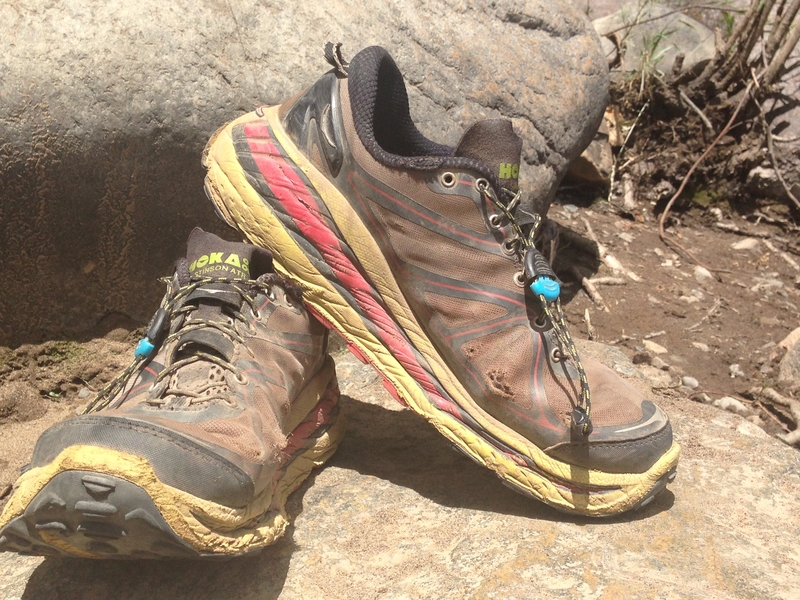 On the Colorado Trail, I hiked in a pair of shoes by Hoka One One and have never looked back. Hoka’s offer some of the thickest cushion, and they feel like walking on a trampoline. My feet hardly have to work in these shoes. I’ll be starting the AT with a pair of Hoka Challenger ATR 3’s generously given to me by my friend Sam, who works for that company. In my past experience, a pair of Hokas lasts me a little over 500 miles. Won’t your feet slosh around in shoes a half to full size too large and create blisters? Maybe, but this has never happened to me. Inevitably hiking long miles means your feet will swell. When blood pools in your feet from standing upright all day, coupled with a hefty beating from the trail, you’re going to be thankful that you can still get your foot into the shoe because of the extra space. I first started wearing toes socks when training to run marathons. I don’t honestly know why I bought them. Maybe I just thought weird things like toe socks were cool. However, after experiencing multiple, simultaneous blisters between toes during my first jaunt on the PCT, now I recognize that toe socks help prevent inter-toe blisters by eliminating skin-on-skin rubbing between your little piggies. I use Injinji original weight mini crew socks. 5) Alternate and wash. Don’t be gross. When hiking, I take two pairs of toe socks. Depending on the day and terrain, I either alternate the socks every day or every 10 miles. Dirt and salt from sweat can contribute to uncomfortable rubbing and blisters, so I try to keep my socks relatively clean. At a water source, I wash one pair until I get most of the dirt and sweat out and strap them to my pack to dry. Losing no time, I can take off wearing the others. Alternating Injini original weight socks, I normally get 500 miles out of two pair. Refilling water bottles gives you a great opportunity to cool off your feet. Even if you don’t dangle your toes in frigid water (recommended), at least taking off your shoes gives your tootsies a chance to dry and cool off before hitting the trail again. Personally, wiping my feet off (or trying to) before bed keeps my morale lifted. There’s something to be said about taking a little responsibility for yourself. 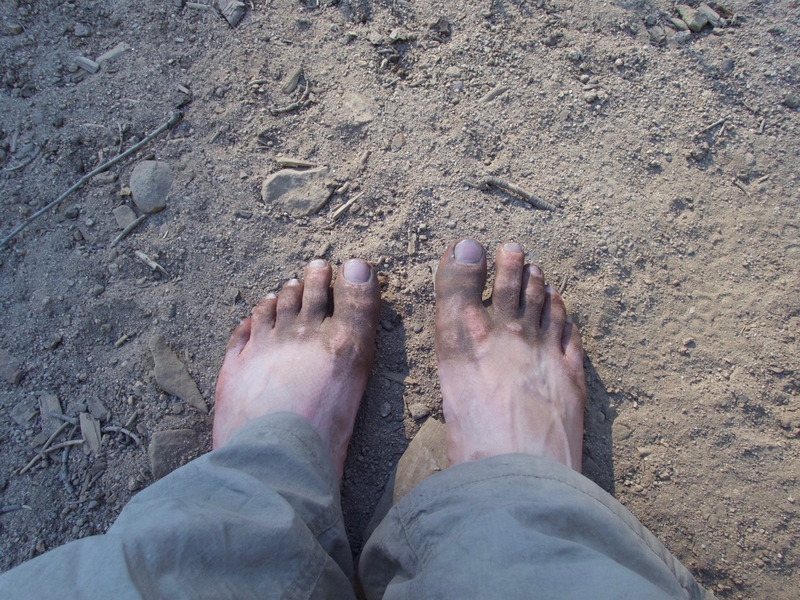 While I can’t always get my feet exceptionally clean, a little wet rag limits the amount of dirt I track into my tent and sleeping bag and probably helps to prevent blisters by getting rid of salt and dirt build up. If you already have a blister, cleaning your feet helps limit your risk of that puppy getting infected. 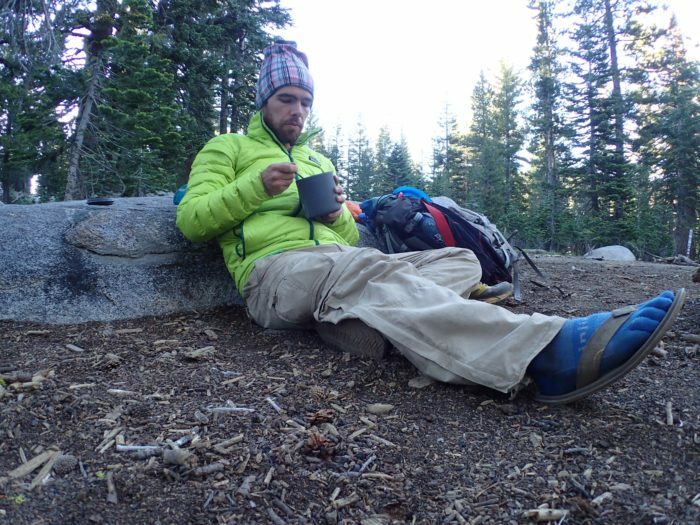 Stewart developed a passion for writing and the outdoors as early as high school. Living in the Southeast's premier climbing city, Chattanooga, Tennessee, Stewart was drawn to the natural beauty of the area and spent a great deal of time climbing and running, experiences that crept into his college applications. As a French Language and Literature major at Sewanee: The University of the South in Sewanee, Tennessee, Stewart grew his passion for languages while continuing to spend ample time trail running. His study of the French language took him to Nantes, Corsica, Geneva, and Guadeloupe, while his dedication to running allowed him to complete over ten marathons and ultra-marathons. Moving to Colorado in 2014, Stewart began a Masters program at Colorado State University focusing in creative non-fiction writing. 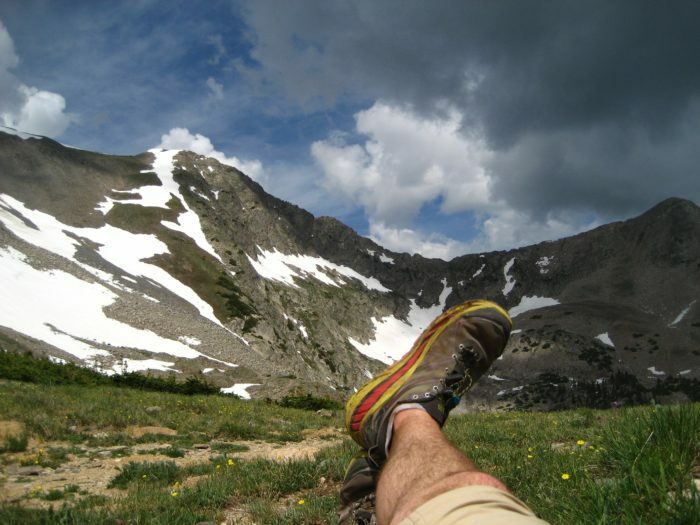 Combining his outdoor experiences hiking over 1,000 solo miles on long-distance trails with thoughts on familial and personal relationships, Stewart finished his Masters thesis in August of 2016. Stewart currently lives in Frisco, Colorado, teaching yoga at Summit Hot Yoga, skiing and snowboarding at Copper Mountain, and writing a weekly gear roundup for Shoulders of Giants. He is continually active outside and has written freelance work for Elephant Journal and The Flyfish Journal. He is currently planning a Northbound thru-hike of Appalachian Trail starting in mid-April 2017. Sound advice. I especially subscribe to the feet soaking method. Great writeup, Stewart! Thanks for the helpful info! I’m hiking a section of the AT in July and I’ve been struggling with a shoe choice. I’m also a marathon runner and just can’t seem to find a hiking boot/shoe that comes close to the comfort and weight of a running shoe. I also follow a foot ritual every night after a hike; I like to rub my semi clean feet with Bag Balm lol. Happy hiking! Some food for thought for anyone that reads this and is looking for various options. I use (KT tape, toe sock liners, and a good cushioned sock.) For the past 2 years I’ve done the Nijmegen march in the Netherlands which is a 4 day 100 mile road march wearing combat boots and a 30 lbs pack. The first year I didn’t use KT tape and got a lot blisters. This pass year I started using the KT tape as well and didn’t get a single blister.